Simon at Constant Revisions gave me the Witty Banter & a Beer Award! Simon says this is in response to all the pretty, flowery, girly awards. Now, I’m not here to promote heavy drinking, but hey, it’s nice to get an award that’s geared toward us men. There’s so few of us out here! 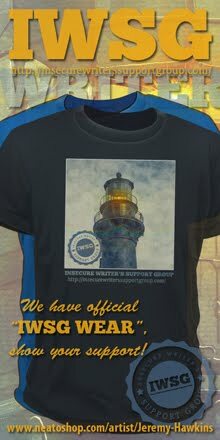 Don't forget to check out the three great giveways in my sidebar! 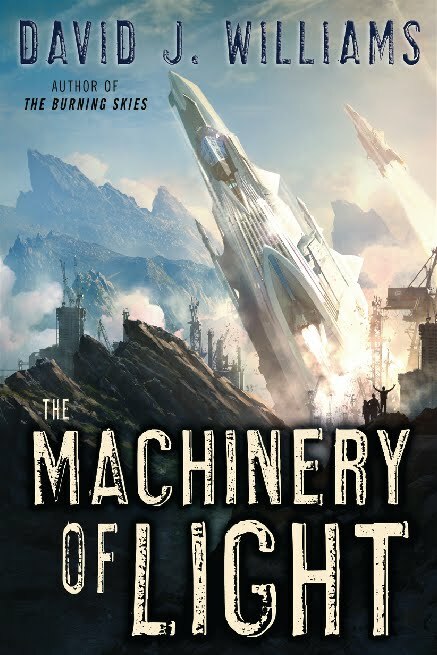 Those of you who read my interview with author David J. Williams last week – his book, The Machinery of Light, came out yesterday! Visit Autumn Rain for details. 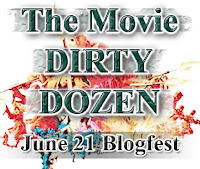 And if you've noticed The Dirty Dozen button in my sidebar – stay tuned! 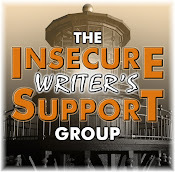 I will be announcing this blogfest next Tuesday. Congrats on your well deserved award, and also to the other reciprients. It is nice to know that male bloggers DO EXIST. Don't get me wrong I love all the women, and they are very supportive and helpful, but sometimes it gets a little lonely! So nice to see a manly award! LOL great award! I want one! I can be a bloke ;) you can just pretend, can't you? Congratulations to yourself and those you have awarded. Hey-- thanks for the award. As soon as I finish washing the dishes, making the bed, and doing a few other household chores I'll try to figure out who else to pass this to. Gosh, what other male bloggers are left? Look forward to the "Dirty Dozen" announcement next Tuesday. Who will be able to resist this one? You have a lot going on, Alex. Congrats on the manly award! Matthew! Didn't mean to leave you out - I just included you in the list. Tara, no flowers or pink, but cupcakes are welcome. Allomorph, if you are a bloke at heart, yes! Well, it's about time! I haven't deliberately turned down a flowery award, but it sure is nice to get something a little more manly! Thank you, and Cheers! Haha! What a great award. 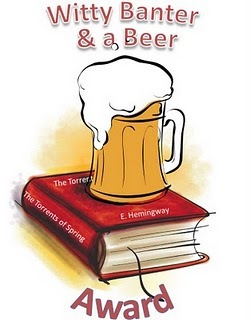 Enjoy the beer! Hart, you like the strong ales, don't you? Kate, this was passed to me as a manly thing, so I just followed suit. But don't see why the ladies can't enjoy it as well. Mel, I'm sure I speak for all of us when I say thanks! I bet all you guys are so relieved to see a manly award for a change :) Congrats! This is so cool. Move over NBA MVP trophy. The manly man Banter & Beer Award is taking center stage on my fireplace mantle. Thanks Alex. I humbly accept. I'd like to thank the usual cast: Barky the Dog, that strange man in a trench coat who stands on the street corner yelling at passing cars, and Al Gore. Without you all I would neot be here today. Stephen, that's great! I couldn't write a better acceptance speech myself. NICE Finally an award made for man bloggers! I could not be any more appreciative! Now, if only I had enough man bloggers that are also readers that I could pass this on to. Wow. An award for men? Great! Thanks for sharing the award. Now, I need to search for other man bloggers. Cheeseboy was on my list, but he's already got the award! You are welcome Cheeseboy, Mr Stupid, and Marvin. Sorry if I cornered all the male bloggers out there. There you go! That award seems manly. And want to know more about the Movie Dirty Dozen! I'll fill everyone in on The Movie Dirty Dozen on Tusday! Congrats on your award! Now, does the beer award actually come with a beer? If it did, I believe that would successfully make it the best award ever. EVER! I went to the Autumn Rain website via your link. Wow! That is a way cool website for a book. I have a pretty deep pile of books in my TBR stack, but I might add the first book in the trilogy in a few weeks. Bryan, that would make it the best damn award ever! Mary, did you see my interview with him last week? They are excellent books. 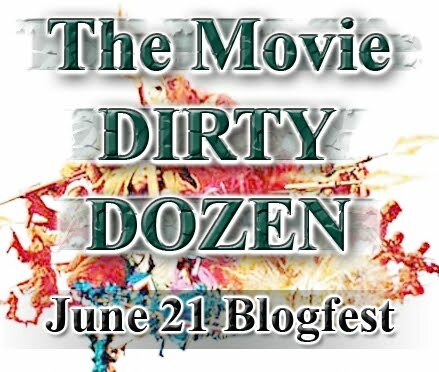 And a Dirty Dozen blogfest? Ohhh, sounds very manly, too!! the Dirty Dozen is a great movie! Love it! also, I covet thee's beer award. Check it out. An award with no strings attached. Congratulations! Congrats on your other awards too! The Dirty Dozen announcement coming on Tuesday! Thank you SO muc Beth! Banter and Beer should be the name of my blog since beer is my writing companion. Just kidding...or am I? Geof, only you know for sure! Congrats on the award; I love it!